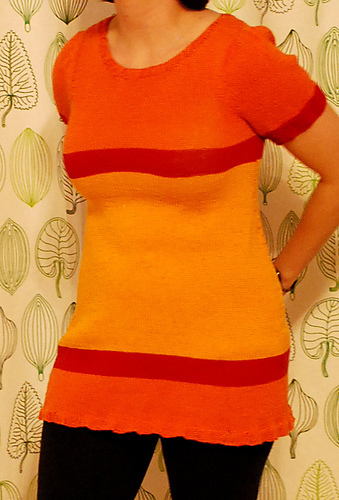 May 11, 2009 Adri H.
Knitted dress is finally done! I must say that even though I had the pattern from Rebecca, it was in German and I really had to eye-ball most of it. Thank you to Elemm who helped me translate what I couldn't figure out on my own.